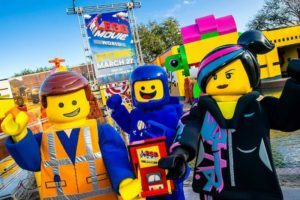 Opening March 27, Legoland Florida Resort, Winter Haven, Florida, is taking guests from the theatre to the theme park with the launch of The Lego Movie World. Created in partnership with Warner Bros. Consumer Products, this expansion features three new rides and numerous attractions, all inspired by the characters and themes of the worldwide blockbuster The Lego Movie and the exciting new big-screen animated adventure sequel The Lego Movie 2: The Second Part. Merlin Magic Making, the creative division of parent company Merlin Entertainments Group, re-created Bricksburg with its lovable characters, creative eating spaces and authentic city scape where guests can experience Emmet’s Super Suite. 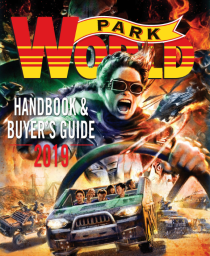 While the Park’s theming and immersion of The Lego Movie universe will captivate guests, the three brand-new rides stay true to Legoland Florida’s kid-friendly experience. The Lego Movie Masters of Flight takes guests on a suspended ride aboard Emmet’s Triple Decker Couch surrounded by a full-dome virtual screen, giving the sensational feeling of flying through a world created completely from Lego bricks. 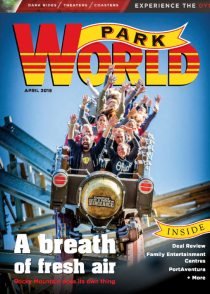 From Brogent Technologies, Inc., the attraction is the first in the world at a major theme park that embeds a 180º turn in the ride experience. The ride animation will feature a humorous and magical adventure as guests soar through Cloud Cuckoo Land, dive to Middle Zealand and splash down on the waters of Pirate’s Cove. From Zierer, Unikitty’s Disco Drop takes guests through a rainbow-filled journey based on Unikitty and her many moods. Once on the ride, guests will swoop to the tiptop of Cloud Cuckoo Land, then drop, spin and bounce back down to earth, creating a thrilling and frenzied experience. At Battle of Bricksburg by Mack Rides, the only water ride in The Lego Movie World, riders are challenged to stop Duplo aliens from invading and stealing Lego bricks by spraying water at targets from their boats. The riders aren’t the only ones who can enjoy playing in the water, outside of the ride will be water cannons for guests to spray and help the riders save the day. Guests can also enjoy the ultimate vacation (or slumber party) just steps away at Legoland Hotel in the new The Lego Movie themed rooms. It is designed with familiar scenery and characters from the movie. Adults can relax in their own room inspired by Emmet’s apartment, while kids can enjoy a separate children’s room themed after Benny’s Spaceship.